Some great snow and rain over the last few days will certainly improve water levels as we approach spring. 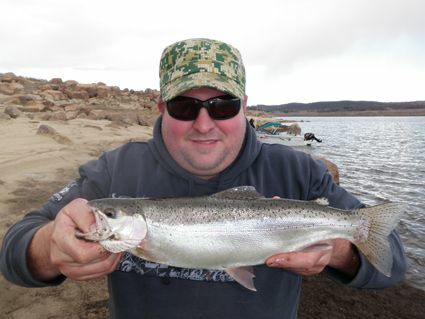 Local fishing has been excellent over the weekend despite the miserable conditions on Sunday. This week only. Sale runs from Tuesday 3rd August to 3:30 pm Sun 8th of August. In-store or mail order by phone and online. *Sale is on current in stock items only. 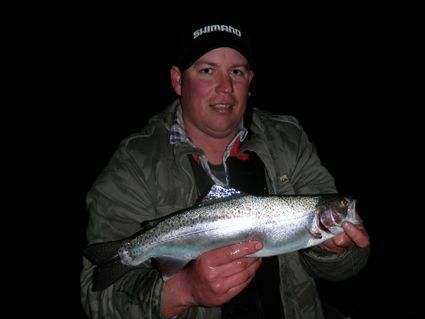 Eucumbene:- Eucumbene trolling reports have been very reasonable with a few boats catching some nice fish. *Anthony from Canberra landed this great brown on a Strike pro Bass X lure recently, while trolling in the Angler's Reach arm. It weighed over 10 pounds. 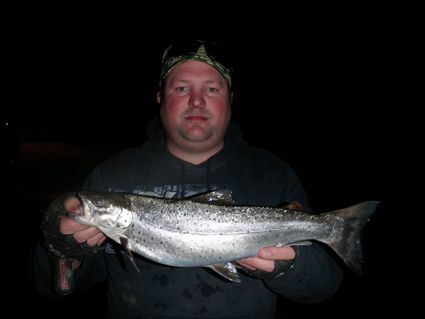 A few other fish were caught in the same area too. One group reported catching fifty plus fish between them. Many were release but there were some very nice quality amongst them too. *James and Jay had a good session last week with these nice fish being caught on bait and trolling in the Buckenderra area.